I am stationed in Germany. I have a new apple TV. How do I play Hulu and Netflix on it. I have VPN shield on my MAC mini, IPad, and iPhone so I can access Hulu through them but I would like to access it through my apple TV. American & British media networks make their TV & radio programming available over the Internet. Yet they want you to be located in either the US or UK. So, if you try to access your favorite shows from another country outside the US or UK you will encounter a message like ‘Not available in your area’. 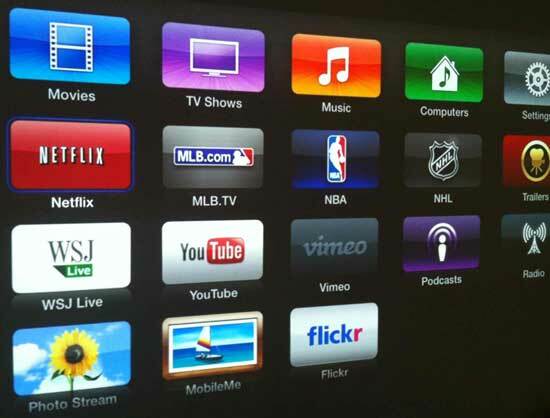 To watch live streaming of your favourite TV channels from abroad you need to connect to a high speed Virtual Private Network (VPN). Our VPN provides an encrypted and secure connection from your home PC or Mac to the UK or US from any location globally. VPN ensures that your computer appears as if it is located in the country to which you want to connect, which allows you to access programming from all your favourite TV networks (Fox, Hulu, CBS, BBC, ITV, 4OD, Zatoo etc). 1. You have a valid US netflix account. This means you have a US based credit card or a relative/friend who has set you up with a Netflix account. I won't go into the ways of getting an account here. But I imagine there are plenty of creative ways to get one. 2. You have a US iTunes account If you are not from the US. 3. You have an Apple ecosystem with OS X Lion. Should work fine from a Windows computer, but that's just not what I have, so screenshots and explanations are in Apple-ese. Also, I've heard there are issues with Internet sharing of a VPN connection in Snow Leopard and earlier. 5. Your Mac is connected to your router via ethernet (wired) connection - not Wi-Fi and your Apple TV is useing Wi-Fi. From the main options tab, tick the "Send all traffic over VPN connection" and click OK.
Lastly, from the main VPN screen tick "Show VPN status in menu bar", click "apply" and exit out of the VPN configuration. Next, still in System Preferences, go to the Sharing panel. Share your connection from the VPN over Wi-Fi. This panel has particularly poor UI, make your changes while it's unticked and then tick the Internet Sharing box to start it. Now configure the Wi-Fi connection on the Apple TV to connect to the hotspot connection you've created on your Mac. Now all the traffic going to and from the Apple TV will be routed through the VPN. Anytime you want to connect to the VPN, you can use the quick connect from the menu bar at the top of your Mac's screen. Remember that in order for the Netflix App to even show up on the Apple TV, you have to be signed in to a US iTunes account on the Apple TV.